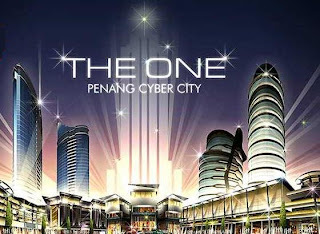 Kuwait Finance House (M) Bhd (KFH) is providing finance for Ideal Capital Intelligence Sdn Bhd's RM500mil The One, Penang Cyber City commercial project in Bayan Baru. Ideal Capital chief executive officer Datuk Alex Ooi said that under an agreement, a RM68mil loan – in the form of Musharakah and Murabahah financing facilities – would allow KFH to participate in the project on a profit-sharing basis and provide revolving credit to Ideal Capital. “We are targeting the sale of 40% of the commercial properties to buyers from Indonesia and Hong Kong. “The remaining 60% are for domestic purchasers and investors,” Ooi told reporters after the launch of The One by Penang Chief Minister Tan Sri Dr Koh Tsu Koon and signing of the loan facilities yesterday. The One, located on a 5.2ha leasehold site, comprises smart serviced suites, corporate office suites, corporate retail units, terraced shophouses and bungalows. Besides commercial properties, The One would also house Malaysia's first technology museum. Some 57 bungalows and terraced shophouses, priced between RM281,000 and RM2mil, were launched recently, Ooi said, adding that over 80% of them had been sold. Meanwhile, Ooi, who is also Indian Corridor Sdn Bhd chief executive officer, said he had secured a US$100mil loan from a Middle Eastern financial institution to finance the RM3.2bil Royal Garden property development project in Shanghai. “The financing would also enable the repayment of outstanding loans taken by Golden Plus Holdings Bhd (GPlus) to finance Royal Garden,” he said.